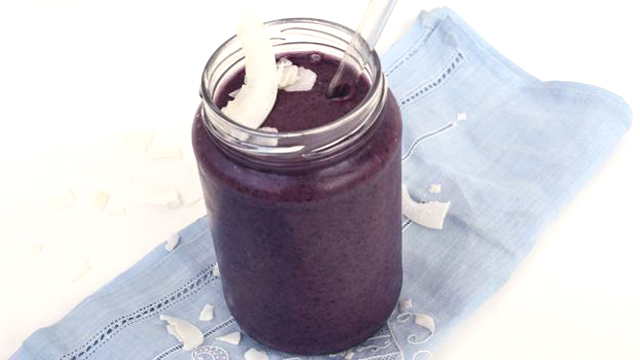 This refreshing smoothie gets things moving within your digestive system to help you beat bloat. 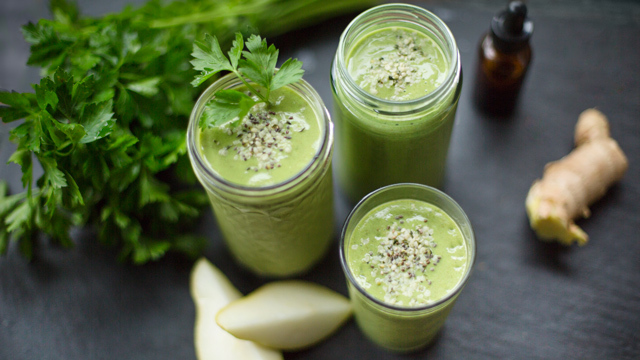 Cinnamon and ginger increase circulation, while parsley acts as a mild diuretic to help reduce excess water retention. The hemp hearts and ground flax seed are not only a great source of complete protein and healthy fiber, but they also feed your good gut bacteria. 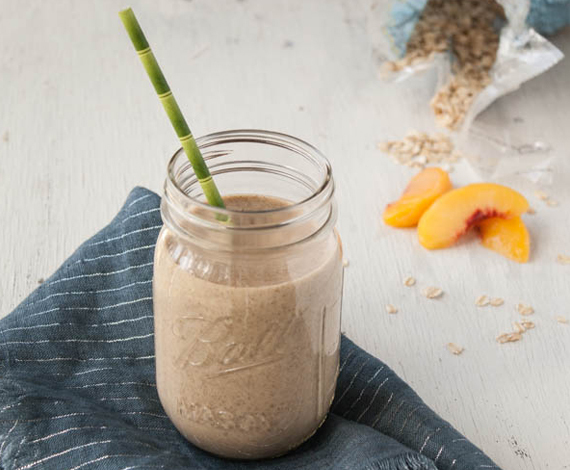 As an added bonus, the balanced nutrition in this smoothie makes this an easy meal on the go. Place all ingredients into a high speed blender and whirl away until smooth and creamy. Oh gosh, this is SO tasty! I’m downing this for lunch after eating way too many treats on Superbowl Sunday… today will be “healthy detox Monday” 🙂 No deprivation, just REAL food!